Congratulations to "Phinn" and his mom and dad on this achievement! 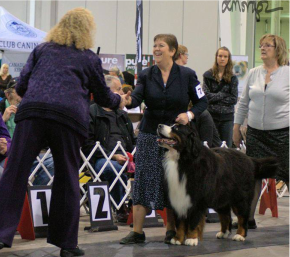 Phinn is our newest and quite possibly youngest Canadian Grand Champion at just 19 months! Syrrah rocked it and came home with Best of Breed (Altered) and a 2 pt major! !